15 Hours by Wang Bing, 2017, presented with the CNAP in France. This documentary installation consists of a single, 15-hour take shot in a garment factory in China and captures the daily labor of its 300,000 migrant workers and the functioning of its 18,000 production units. Rigorous and hypnotic, 15 Hours marks Wang’s most radical meditation on the contemporary meaning of work and the state of labor conditions in present-day China. Created by Nico Casavecchia and Martin Allais. Produced by ATLAS V, 1stAvenue Machine, FAUNS, in coproduction with ARTE France. In a dark expanse that could be the cosmos, we hear the voice of Arthur C. Clarke, whose face - taken from a BBC archive dating back to the 1960s - appears in the distance. His features quickly dematerialize into a multitude of shimmering pixels, creating an enveloping and immersive space out of which the thoughts of the famed author of 2001: A Space Odyssey emerge. At the heart of this spectral environment, and with a magnetic voice sending us back to the time of cathode ray tubes and the golden age of television broadcasting, A C. Clarke tells us about the arrival of digital revolution, decades ahead of his time. This film is an invitation to travel, and a crepuscular form of poetry to be experienced immersively. RT: 5 min. Curatorial platform le peuple qui manque (A People Is Missing), represented by its founders Aliocha Imhoff & Kantuta Quirós, will broadcast their video installation Les Impatients. Les Impatients is a survey of time, a chronopolitical series, that displays the possible reconstructions of the future. The first episode takes place in Chicago and Detroit, where the marks of the subprime crisis and the wounds inflicted upon black lives are challenged by the movement Black Lives Matter ; the second episode was filmed in Leipzig, where the movement that led to the Fall of the Berlin Wall began ; the third episode focuses on the political, intellectual movement of protest "Nuit Debout" in Paris, where appeared the common joy of rediscovering the possibility of politics ; the fourth episode was filmed in Dakar. Directed by enigmatic and brilliant documentary essayist Chris Marker, THE OWL’S LEGACY is an intellectually agile, engaging, and sometimes biting look at ancient Greece, its influences on Western culture—and how many eras have reinterpreted the Greek legacy to reflect their own needs. Each of the 13 episodes is centered on a potent Greek word: from “democracy” and “philosophy” to “mythology” and “misogyny”. Marker convenes and films symposia—meals featuring wine and thoughtful conversation—in locales including Paris, Tokyo, Tbilisi, Berkeley and an olive grove on the outskirts of Athens. Footage from these banquets is interspersed with archival materials and interviews (often featuring a stylized or distorted owl image looming in the background). Marker’s diverse group of informants includes composers, politicians, classicists, historians, scientists, writers, filmmakers, and actors. Together their contributions form a compelling (and sometimes contradictory) cultural and historical exploration for each theme. After screening on European television, THE OWL’S LEGACY was unavailable for decades—the result of objections from funders the Onassis Foundation, who took offense at comments made in the series about modern Greece. Now it has been restored and is finally being released. THE OWL’S LEGACY continues to serve as a powerful reminder of the ongoing impact of ancient Greek culture and the ways in which we continually recast it to suit our beliefs. 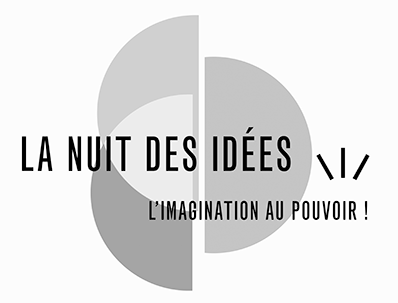 2019 Night of Philosophy & Ideas is co-presented by Brooklyn Public Library and the Cultural Services of the French Embassy. The program is made possible with major support from the Stavros Niarchos Foundation and City Point. Generous support is provided by The Gladys Krieble Delmas Foundation, Penguin Random House, the Institut français, Nespresso, Sixpoint Brewery, the Wythe Hotel, Air France, Hilail Gildin Trust, Humanities New York, Onassis USA, The Rolex Mentor and Protégé Arts Initiative, FACE Foundation, and event partners National Sawdust and The New York Times. WNYC is the Official Media Partner of the 2019 BPL Presents Season. Additional support is provided by the German Center for Research and Innovation, the Consulate General of Switzerland, the Polish Cultural Institute New York, The Earth Institute, the Elizabeth Kostova Foundation and Sofia University, the Istituto Italiano di Cultura, the Lithuanian Cultural Institute, the Mexican Cultural Institute New York, the Université Lyon 2, New York University and Fordham University. In-kind support is provided by Colson Patisserie, Pommery, Albertine, Bogota Latin Bistro, Miti Miti, Emma’s Torch and EVEN Hotel Brooklyn. Visual identity created by La Rêveuse.